Before we jump into the basics of Twitter, lets look at the particular advantages for juniors raising money. Firstly, you’ll stand out in the crowd as one of the first to brave social media! The more investors aware of your company, the better. As this Metal Pages blog post recommends, its important to develop an investor relations-focused social media strategy as early as possible, preferably well before the IPO. Broadening your investor base is worthwhile once listed too as it potentially makes raising new capital easier. More details on the use of social media by junior mining companies to generate retail investors can be found in this slideshow presenting data taken from a report by Justin Pugsley of metal-pages.com. Twitter is fast-paced social media platform where individuals or organisations send short messages, known as Tweets to their followers. Each Tweet is limited to 140 characters but can include images or video or short links to content elsewhere on the web. When you post something, it’s a tweet. When you repost something from another user, it’s a retweet or RT. Trending topics, or TT, are topics discussed by many users at a given time. You can Favorite a tweet by clicking on the star. Hashtags are used to link conversations and search for subjects on Twitter, simply by placing a # in front of a word or short phrase. Using hashtags on Twitter can be risky if you don’t check how it’s being used before you use it into your own Tweet, like the poor person who was caught in a flurry of Tweets about World Vasectomy Day 2013 (#WVD2013) with her own Tweets about WereldVoedselDag (WorldFoodDay)! Twitter hashtags are a great way to follow an event you were unable to attend, for example the annual PDAC conference held in Toronto each year. By searching for #PDAC2013 you will find all of the tweets posted by attendees, speakers, organisers and the trade show. You’ll feel like you’re there, without the need to brave the biting cold streets of Toronto in March! 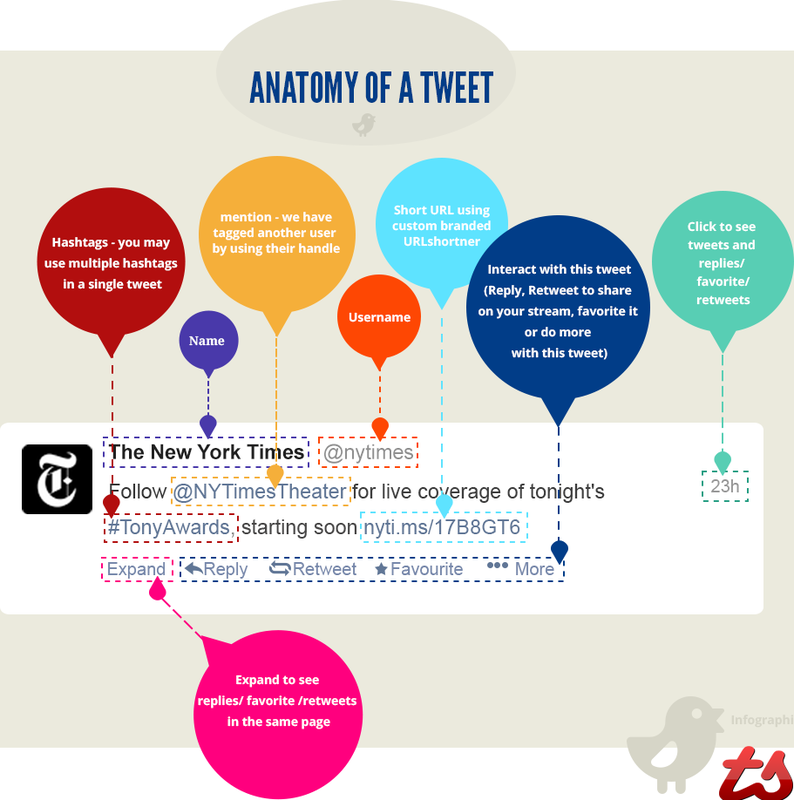 More than half of all journalists use Twitter to search for stories. Journalists are increasingly turning Tweets into a more traditional newspaper articles later the same day. The number of investors on Twitter is growing too and you can now use cashtags to track companies. A cashtag is like a hashtag but uses a dollar sign $ followed by the ticker symbol, e.g. Google = $GOOG, Apple = $AAPL or Facebook = $FB. Twitter and other social media channels provide an avenue to showcase the personal side of the resources industry, allowing access to the individuals behind the brand. Listening. Improve community relations by listening, responding, hearing what the communities are talking about. What are their needs? What are the issues? Sharing. Amplify your traditional messages (media releases, blog posts, reports) by sharing them via social media. Resource companies have to be very cautious about corporate communications because there is a lot riding on each and every announcement, and the industry is heavily regulated. But that doesn’t mean social media channels aren’t an option. Is Twitter the right social media channel for you? Would it be better to start with a LinkedIn company page or YouTube channel? Do you have a social media strategy and response plan in place? Finally, you don’t need your own Twitter account to follow conversations on Twitter. Just head to https://twitter.com/search-home and type in #mining or any other hash- or cashtag that takes your interest.